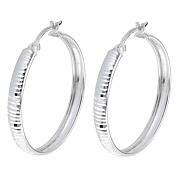 Every jewelry collection needs a selection of basic hoop earrings. 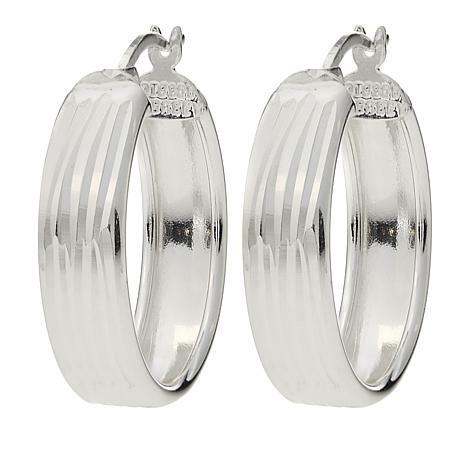 With a high-polish shine and eye-catching diamond-cut design, these classic hoops are destined to become a jewelry box staple. Sleek, yet simple, they're easy to dress up or down — whatever the occasion. I like the extra sparkle of the diamond cut. They are all day comfortable. So glad I made this purchase. 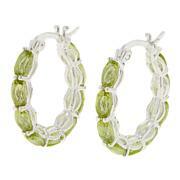 These earrings are fabulous! Great medium size and just jumping with light and brightness. I think I will be buying some for the girls for Christmas too! Love the size and width of the hoop. Great quality too. This is a perfect go to earring. If I ever have to go on vacation and could only take one pair of earrings it would be these. 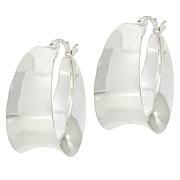 For the jewelry sophisticate, Sevilla Silver™ delivers high-quality sterling silver designs from around the globe. This exclusive collection is named for Seville, Spain, an influential city along The Silver Way, a Roman trading route. 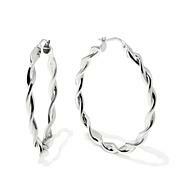 Sevilla Silver brings you a wide variety of irresistible designs, from staples to statement pieces and modern classics. Your jewelry box just got a little more worldly.